Green festival lettuce is a loose-leaf lettuce. The Green festival lettuce may be distinguished from Red festival lettuce by the color of the leafs, specifically the end of the leaf. 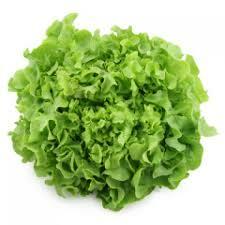 The tips or ends of green festival lettuce appear dark green. Green leaf lettuce is an annual plant that thrives in full sun in the spring and fall growing seasons and partial shade in the summer.